The lone star state of Texas is known for many things throughout the world, one notable thing that brings this state to mind is the acts it has brought to the center stage over the decades. From Stevie Ray Vaughn onward, Texas has coined its own unique niche in the music landscape. 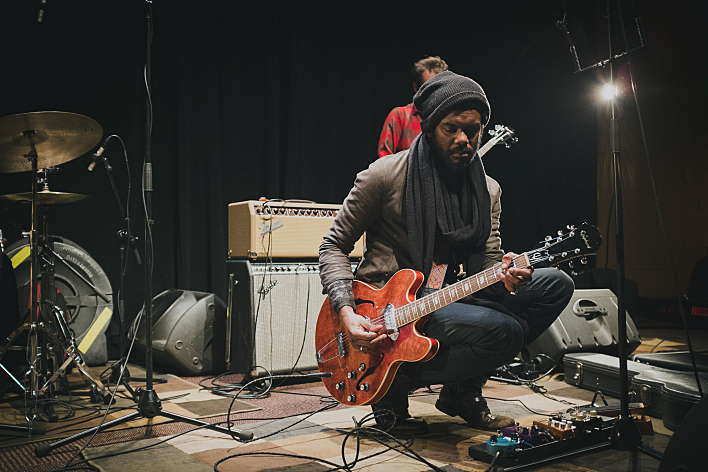 From age 12 to now, Gary Clark Jr has shown through his guitar style and professionalism that he is a force to be reckoned with and another iconic name to add to the long list of Texas bred world famous musicians. Gary Clark Jr is said by many to be the savior of the music industry of the 21st century for his ever racial approach to music and the concepts of music that were once only played by the poor black musician. Clark now is an example of someone who has truly appreciated the ups and downs of life that inspire the most chaotic, rocking music the world has ever heard. 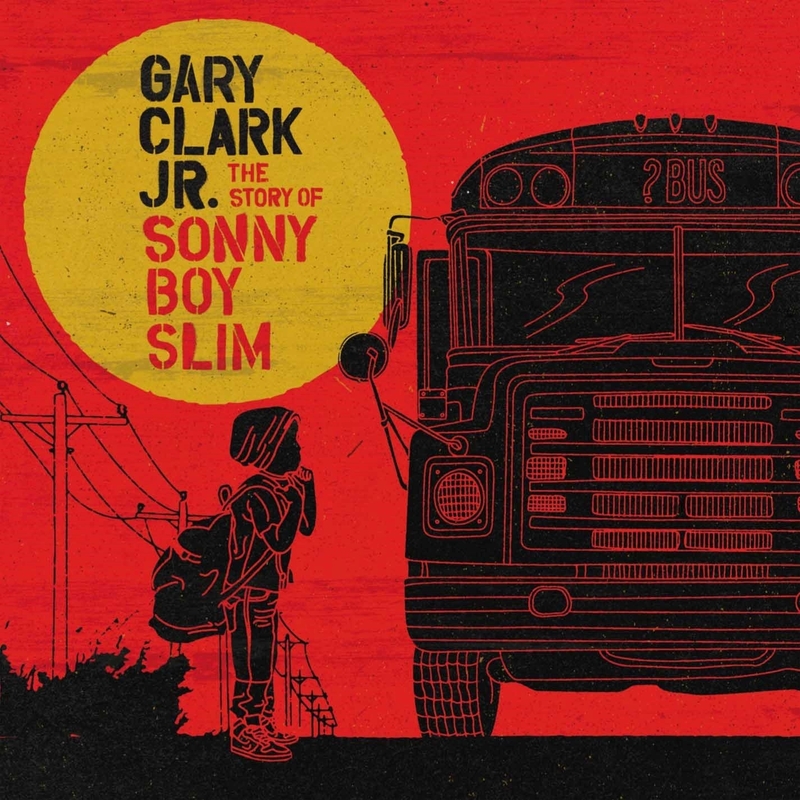 This brings us to Gary Clark Jr’s latest release, The Story of Sonny Boy Slim. It perceives the idea of a black America and the struggles that come life in early times to the modern landscape, that to a honest degree, hasn’t changed on many levels in terms of stereotypes and what is acceptable for colored person’s role in the music industry. While joining the bluesy rock society of white musicians, Clark has taken the center stage by storm with his soulful vocals and dedicated passionate guitar skills, truly creating a sight to behold and listen to in the modern landscape of electronic influenced and looped music. The Story of Sonny Boy Slim, more so than his previous records, implements elements of RnB, Soul, Blues, and a touch of rock to make it eclectic experience of many proportions. Star – Star is a great example of Hip Hop and Soul elements bringing forward the theme of living up to Youthful promise and the ups and downs of expectations laid forward. Our Love – That tried and true staple love lost song that features a funky organ driving the force of Clark’s vocals and subtle touch of guitars to a falsetto of melodic bliss. The Healing – A strong intro to The Story of Sonny Boy Slim, The Healing is the core of what music means to Clark, as he takes styles of Gospel, Funk, and RnB to forefront and provides the overall basis as to what music is supposed to be. An Enjoyable and deep experience that should evoke positive emotion. While Contrast Control always looks for the positive and finds it in the music industry, there is also a time for social commentary and acceptant of different races and musical landscapes. We shouldn’t define a musician by color, but by their passion to create something meaningful and audibly pleasurable. Many reviews and perspectives of Gary Clark Jr are racially driven, and for good reason. Why would I say good reason? Because like many artists in the past, Clark is breaking barriers and what’s to be expected of a certain type of man who wants to entertain the world. The positives to be derived from this album are tenfold in the harmonies and melodies that are thoughtful placed and structured to create songs that will make you dance, swoon, tap your feet, turn up the volume, and not in any particular order. The Story of Sonny Boy Slim leaves much to interpretation and controversy for the picky mind, but for listeners like me. Its good music, and good music to turn up and enjoy no matter the time or season. With that said, we always give the encouragement to take a listen for yourself and decide what you find good. Because although my lengthy and odd vocabulary, your ears will define what music is. So take a listen and find that one song that means something to you. Personal Favorite Tracks: Cold Blooded, The Healing, Our Love, Hold On, Star, Wings. Blues, contrast Control, Featured, Gary Clark Jr, Guitar, Review, Rock, The Story of Sonny Slim. Bookmark.